So do you think Nuclear power has a future? What right have we to make decisions that are detrimental to our children's future? There are currently proposals for new nuclear power stations at Wylfa on Anglesey & also Hinkley Point in Somerset. If we allow these to be built we risk leaving a legacy of poisoned land for our children to live in or be evicted from. Would you really want that? We need to open our Eyes & ignore the lies being told by the Government & power companies, being indifferent & allowing new nuclear power stations to be constructed makes us as bad as the people who construct & run them. They tell us that nuclear power is safe but we've all seen what happened at Chernobyl & Fukushima. They tell us that nuclear is green power but it leaves a legacy of radioactive waste & they tell us it creates jobs & prosperity yet the power companies have no obligation to provide compensation in the event of an accident which leaves people evicted from their lands, homeless & unemployed. Let me repeat that part for you, 'the power companies have no obligation to provide compensation in the event of an accident'. Yes thats right, the Government provides a get out clause & foot the bill themselves, with our own money! Well we need to make our voices heard so I'm proposing a themed protest circumnavigation paddle around the Isle of Anglesey. This is a committing paddle in challenging sea's & will involve camping for several nights along the coast so it is only open to experienced paddles with their own kayaks & camping equipment. As the paddle is themed I would suggest that we all wear white boiler style suits over our paddling kit & face masks too for protest pictures. Radiation stickers on the kayaks would be a bonus too. 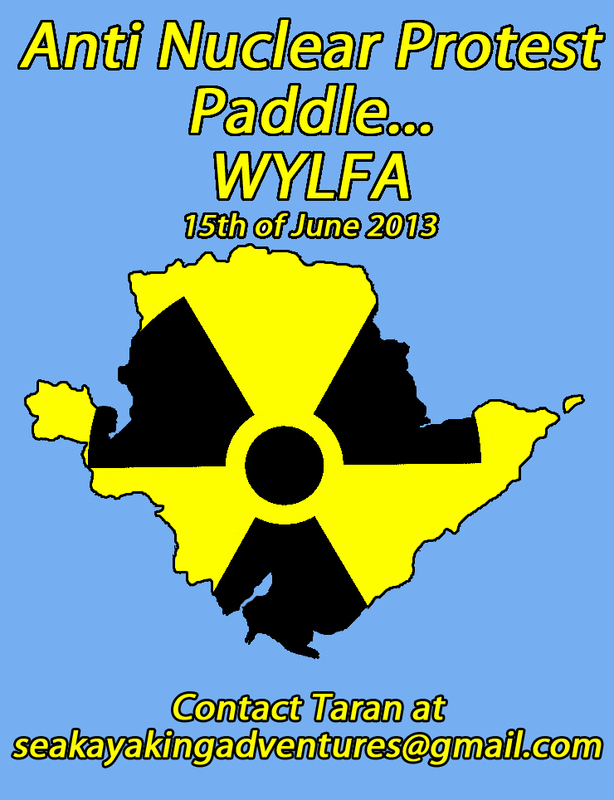 The paddle is set for the Saturday the 15th of June starting out from Cemaes Bay near the sight of the current Wylfa power station at 09:00 & heading clockwise around the island. The plan is to spend four nights camping to complete the circumnavigation though this may be more or less depending on how people feel. 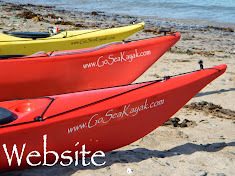 To join the event or register an interest please go to the Sea Kayaking Adventures Facebook page & click on events.